This year’s Rally Finland is shaping to be a true spectacle, the buzz is great and the buildup is quite unique, with the likes of Tommi Makinen and Ari Vatanen doing their part, interviewing drivers or teasing everyone with the possible competitive outing. 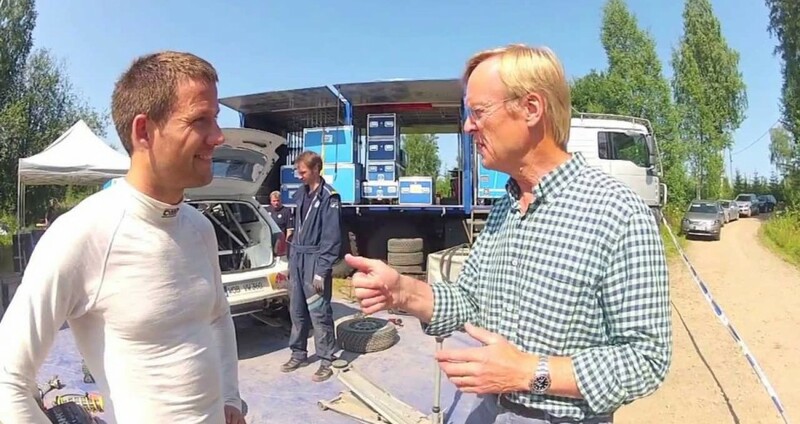 Ari’s son Max released a video on his Youtube channel, featuring dad Ari talking to two current WRC factory drivers, Mikko Hirvonen and Sebastien Ogier. Both Citroën and Volkswagen driver are preparing for the Rally Finland, and Ari caught up with them during testing sessions. Enjoy the brief Q&A with Seb and Mikko, with the slightly annoying but so very familiar and thus appreciated sound of airguns in the background. Next story Breaking news: Citroën C-Elysée is a rally car (after all)!